Love your art, keep it coming! You are my IDOL!! 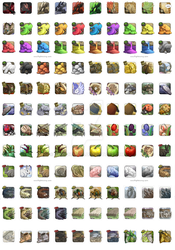 I love everything you make, and I love Flight Rising. Don't stop, you are far beyond talented. could you explain me the genders of the god dragons please? Lovely gallery! I'm doing my artist research essay on you and I love your work!